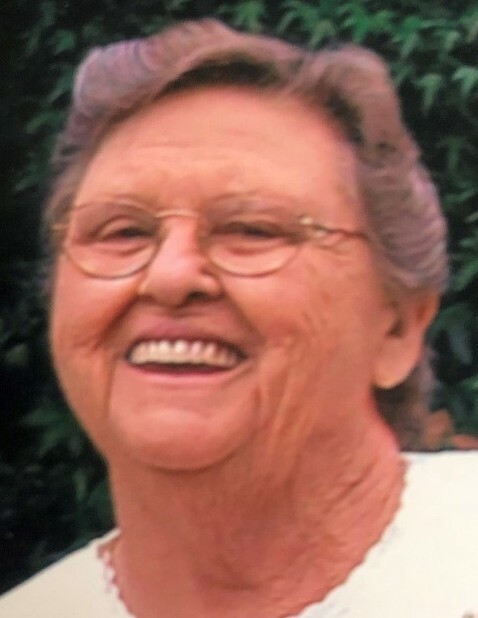 Edna Orease Inman Wilkinson, age 83 of Springville, TN, died Sunday, April 14, 2019 at her residence. Edna was a member of Faxon Baptist Church in Faxon, TN. She was a former restaurant owner in Henry, Benton, and Gibson Counties. She loved to cook and her pies were famous. She dearly loved her grandchildren and her great grandchildren. She enjoyed feeding people, taking care of others and singing. She was born October 21, 1935 in Blytheville, AR to the late Ulus Grant Griggs and the late Mary Alice Farmer Griggs. Edna was married to Ira J. Inman, who proceeded her in death on April 11, 2005. She was later married on July 14, 2012 to Melvin E. Wilkinson of Springville, and he survives. Besides her husband, she is also survived by two daughters, Pam (Barry) Jewell of Paris, TN, and Anita Weaver of Camden, TN; two sons, Ira Dennis (Janet) Inman of Paris, TN, and James Inman of Camden, TN; one brother, Sherman (Shirley) Griggs of Trenton, TN; seven grandchildren, Toni (Chris) Buie, Brian (Lauren) Jewell, Grant (Tiffany) Weaver, Ashley (Bradley Dion) Weaver, Gina (Jeremy) Mitchell, Candice (Jason) Fields, and Chris (Samantha) Inman; and nine great grandchildren. Besides her parents and first husband, she was also preceded in death by three sisters, Dixie Curran, Pauline Cannon, and Joy Richardson; one brother, Tommy Griggs; and one great grandchild. Arrangements are being handled by Ridgeway Funeral Home, 201 Dunlap St, Paris, TN. Visitation will be Wednesday, April 17, 2019 from 4 – 7 pm and Thursday, April 18, 2019 from 10 am – 1 pm at Ridgeway Funeral Home. The funeral service will be Thursday, April 18, 2019 at 1:00 pm at LeDon Chapel of Ridgeway Funeral Home with Randy Miller and Greg Stanford officiating. Burial will follow in Poplar Grove Cemetery in Springville, TN.